We want YOU for Science/Engineering Education Outreach. 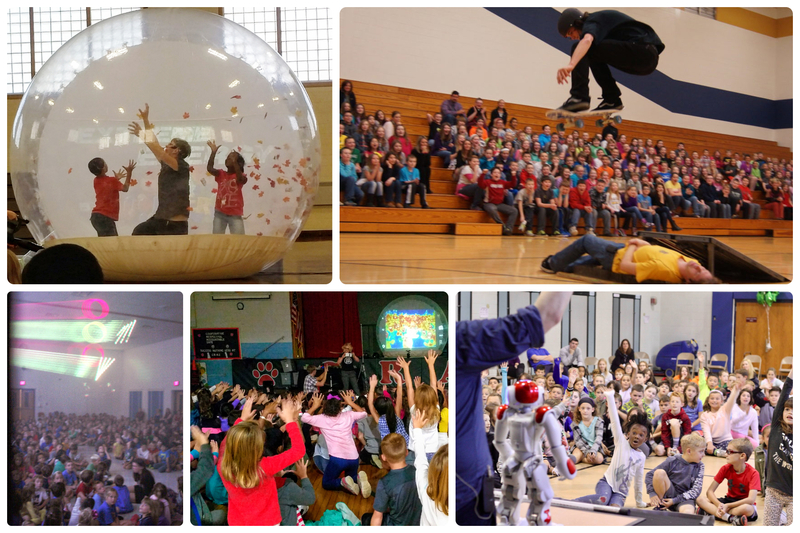 Travel the country presenting exciting school assemblies where audiences truly LEARN. Wondergy is seeking charismatic scientists who want to travel the country presenting school assemblies. You’ll present an unscripted interactive show, engaging with students’ questions and ideas, and making it fun, educational, and exciting. You will visit over 80k students in over 30 states, and make a huge impact on the world. This is a full time job on the road, requiring a lot of driving. We provide full-time competitive compensation, all of the equipment for travel and science demonstrations, plus training and general support. For academic year 2018-19, Wondergy will be sending three interactive shows on tour across the country. These will be our 15th-17th national tours, and our 7th year of touring nationally. Explore what makes a robot a robot (our answer: sensing and self-correction.) How do robots sense? How do they move? Take audiences on an interactive journey from simple funny robots to complex (and super cute) humanoid robots. Explore the Science, Technology, Engineering, and Mathematics (STEM) concepts that bring robotics to life! Light up thousands of students with an exciting science show! From potential energy to (controlled) explosions, from thermal cameras to people-power, explore where energy comes from, and where it ends up! How do we generate the energy we use everyday, and how do the choices we make affect our environment? 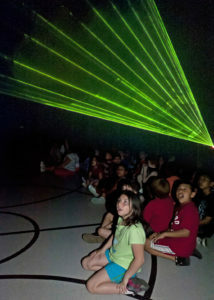 Explore how the science of light, lasers, and human vision come together to make laser shows possible. Play with persistence of vision. Fog a gymnasium and see how light travels. Excite hundreds of students about energy! Email us your resume and cover letter, and a short video telling us why you’d be awesome for this (youtube/vimeo links are fine). We will have a phone interview, which may be followed by an in-person “audition”. Your tour would look something like the green dots. This is last year’s map of two tours.